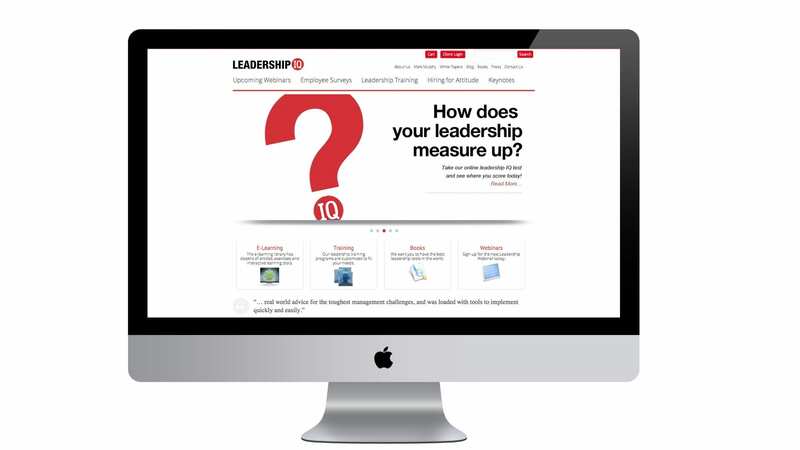 LeadershipIQ, the consulting/training business of Bestselling Author and Leadership expert Mark Murphy, approached Studio Two about updating their brand and developing a new website. The organization sought to build clearer, bolder communications with their audience than their current branding and to bring the website architecture and design into alignment with contemporary practices and opportunities. Bringing a clear and flexible articulation to this national brand was the challenge – its deployment would take place in every medium over time, and it would pass through many hands in the process. 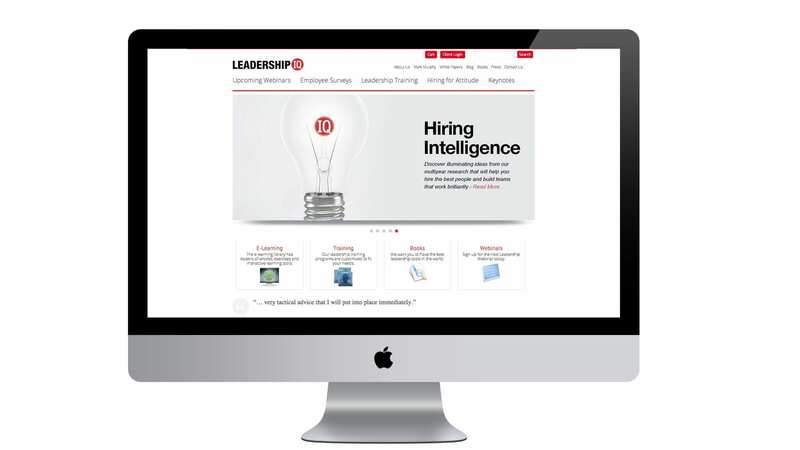 It needed to convey the boldness and authority that LeadershipIQ brings to the market – a boldness based on solid research and data-driven processes and analysis. To stand out in the crowded market of fortune 500 leadership consultants required the brand to play confidently and aggressively with the competition. On the web side, the challenge was bringing order out of complexity – a legacy site with hundreds of pages of content that required recategorization, prioritization and redesign. We worked closely with LeadershipIQ principals on their core values – capturing Mark Murphy’s boldness and directness graphically. Collaborating with a team of web developers and ecommerce specialists, we brought our designs into fruition through a highly-engaged and time-driven process to launch. The results speak for themselves – since we launched the site and the brand overall engagement is significantly higher since the same period last year – Page visits are up 54.99%, Visit duration is up 64.95% and New visits are up 25.24%.